This article will guide most of foreigners through the difficulties to find a dream Work in Barcelona. Looking for a job in the newspapers, as our parents did many years ago, is no longer the best option - it is hard to meet a good job offer in newspapers. However, if you come across the newspaper “Metropolitan” (in English) or “La Vanguardia” (Sunday edition) it is highly recommendable to have a look at the page with job ads - maybe it is your lucky day and you will find remarkable job offer. Please keep in mind that sending your CV to many companies increases your possibilities to find a proper job. We would also advise you to prepare your CV before you start your search and when the CV looks perfect, - browse the job boards, find the offers that are interesting for you and send your CV – an ideal way to allow different companies to get to know you as a great employee! Above all, do not be discouraged: job searching is a long process and often requires being patient and creative. Unfortunately, we must admit that a low level of Spanish might cause you difficulties finding your dream job in Barcelona. However, it can happen that you are lucky and you are offered a job without Spanish knowledge, if it is an international company or you are an expert in a particular area. Remember that competition in Barcelona is high; there are many qualified professionals, who also speak Spanish. Thus, visiting a Spanish course before moving to Spain to understand at least the basics of the language is probably a very good idea. 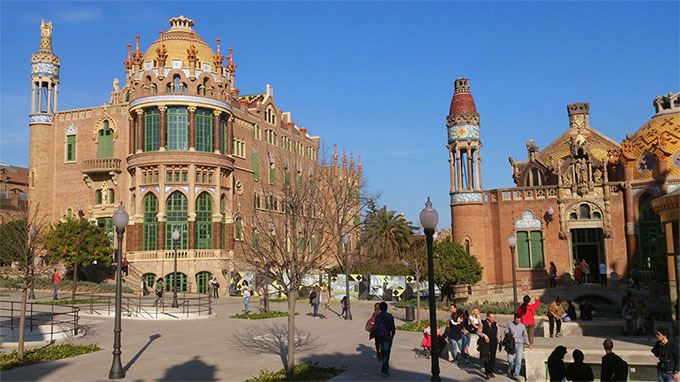 Please also take into account that the official language in Barcelona is Catalan and we advise you to enroll in a language course right after your arrival. Before finding a job in Barcelona, it is necessary to have some formal documents, which will help you to organize your life here, for example, to receive a bank account, or to find a permanent or temporary apartment. The first necessary document to receive is called NIE, the Spanish Government number for foreigners, a document, equivalent to ID card. It is a nine-digit number and it will be necessary for every further administrative issue, so after some time you will be able to learn it by heart. This number is usually issued by the Oficina de Extranjeros. After receiving NIE you will need to obtain Social Security number (numero Seguritat Social), - a number, which is necessary for each employer before starting work in Spain. Please remember to also bring your passport to Spanish authorities, since your national identity card (I.D) might not always be valid here. If you are going to work in the office in Barcelona, please be ready to work long hours. Some offices are open from 9:00 AM to 6:00 PM, with one or two hour of lunch break included. You will get used to a long lunch break, since lunchtime is very important in Spain. Some employees are, however, less lucky and work from 9 AM up to 8 PM with a two-hour lunch break. There are not only negatives sides of this break, - in many offices in Barcelona working time on Friday is reduced until 2 PM or 3 PM, so you can go home earlier - this is called tarde libre (free afternoon). To sum up, Spanish employees work longer, especially in the offices, and even though the weekly working time is 40 hours, they are spending more time away from home.